Charlottesville has a bunch of restaurants serving different types of amazing food. It’s hard to ever be hungry here. Although we many places to eat, we’re going to focus on a popular favorite especially in this college town, Mexican food! We’ve gotten a lot of reviews of different Mexican food places here on Grounds and in the Charlottesville area from the student interns. Enjoy! 1. La Taza: La Taza is a Latin-inspired restaurant located in downtown Belmont (a few minutes past downtown) that serves breakfast and lunch daily and dinner Thursday- Saturday. During the day, it has a coffee shop atmosphere that's perfect for studying or light reading. In addition, they have a variety of seasonal specials that make it more than your average Mexican restaurant. Finally, La Taza is located directly across from Fitzgerald's Tires, home of the famous "I Love Charlottesville" sign, giving visitors the perfect opportunity to snap a photo with this Charlottesville classic. Check out their menu here. 2. 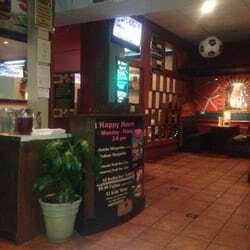 El Jaripeo: Located at the end of the Corner across the street from Mellow Mushroom, El Jaripeo is the best authentic (American) Mexican food restaurant within walking distance of UVa Grounds. El Jaripeo is great for an indoor or outdoor sit-down dining experience (not to mention free chips and salsa!) whether you're looking for a study break or a way to celebrate the end of midterms. The service is great and you shouldn't have to wait long even when it gets a bit more crowded on the weekends. What to order: Definitely the queso to go with your chips! As for an entree, the chicken quesadilla fajita is where it's at. Check out their menu! 3. 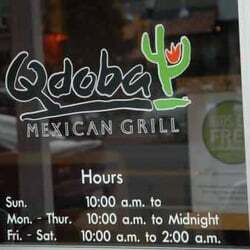 Qdoba: A lot of people say that this is some sort of knock-off Chipotle, but honestly it has some pretty decent food. It’s not the fanciest place to go, but it’s right on the Corner. A lot of students can get that late-night Mexican food fix especially if they’re studying all night at Clemons Library. The food’s pretty good and the portions are large especially for the price. If you don’t want to drive or take a bus all the way down to Barracks Shopping Center (for the Chipotle), Qdoba is a great and close place to eat a pretty good burrito. 4. Mono Loco: If you're looking for Mexican food with a contemporary twist, Mono Loco is the place to be. 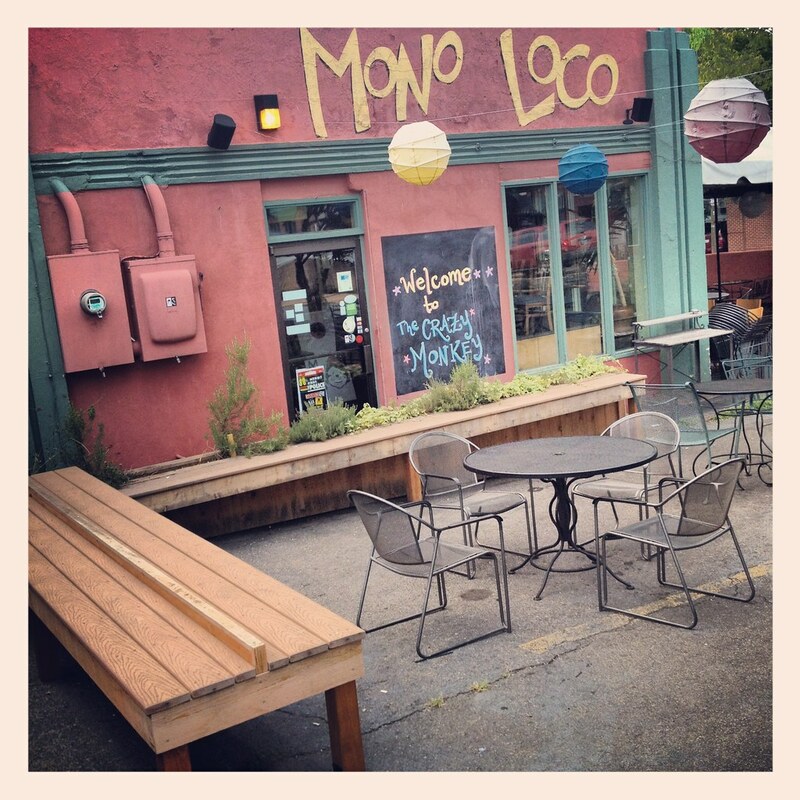 Complete with a laid back, casual vibe and the option of indoor and outdoor seating, Mono Loco is located right off of the Charlottesville Downtown Mall. The food is not your typical Mexican cuisine, but it is oh so flavorful with creative combinations and high-quality ingredients. I HIGHLY recommend the Pollo Loco Burrito Bowl. The only complaints I have about Mono Loco are they are only open after 5pm and they charge for chips and salsa, but other than that I believe 10 out of 10 would recommend. 5. Plaza Azteca: Plaza Azteca might not be the closest Mexican restaurant to Grounds, but it is one of the student favorites. The space is big enough to hold multiple large groups of students, making it an easy space for students to come in larger groups of friends from class, discussions, student organizations, or halls. Perhaps the biggest highlight that draws most students is Plaza Azteca’s homemade guacamole, which is made right in front of you at the table and can be customized to each table’s preference in spiciness. Also quite popular are the fajitas and the quesadillas. Plaza Azteca may be a trip to get to for some students, but it is certainly worth the 10 minute drive from Grounds. Check out their menu here. Where is it? : Just a short walk from any first-year residential area, the AFC is situated on Alderman Road, right next to Scott Stadium. 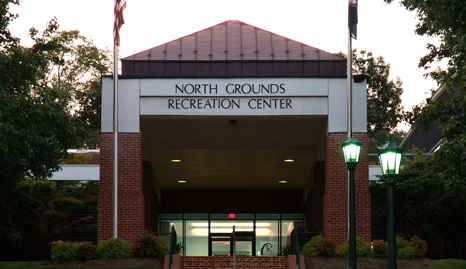 As the closest to central Grounds, the AFC is by far the most popular gym at UVa. Not only does the AFC boast three full-sized basketball courts, an indoor track, two floors of cardio machines and free weights, and a cafe, but also the largest hot tub on the east coast and a 50 meter x 25 yard Olympic-sized pool (told ya so). Some of the most popular features at the AFC are the cycling studio as well as the zumba, yoga, and pilates classes offered in the downstairs studio. This gym gets pretty packed - especially around exam time - but with so much equipment it's not hard to find a machine to use. For a workout with a view, use the stair-climber during diving practice and watch the divers perform as you workout! Where is it? : Emmett Street, across from Alumni Hall and next to the Central Grounds Parking Garage. 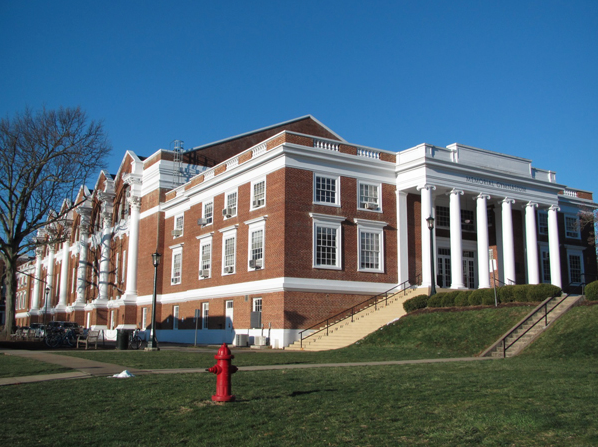 Memorial Gym (or Mem Gym) was originally opened in 1924 as a memorial to the University's World War I casualties. In addition to your typical gym amenities, it's home to basketball courts, an indoor soccer arena, a combative room and, of course, a quote from Thomas Jefferson himself (as can be seen in the photo). Mem gym isn't the most glamorous of the University's facilities, but I have heard it called "the manliest of gyms," so going there might boost your credibility as well as your health. If you're serious about exercise and want a down to business, frills free work out (read: no snap chatting from the stairclimber) , Mem's for you! Where is it? : Past O-Hill on McCormick Road, across from Balz-Dobie dormitory. Most students tend to use the AFC to workout, grab a smoothie, etc. 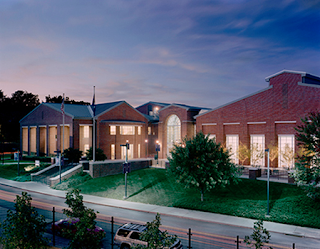 but people who really want to get involved in Intramural Sports tend to use the Slaughter Rec Center. 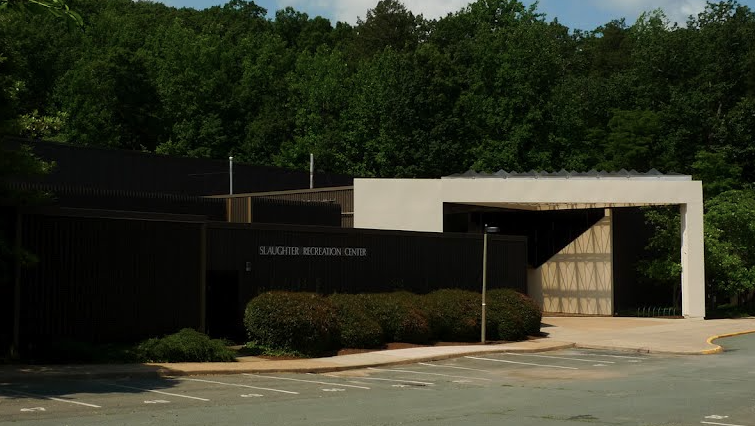 Located very close to the first year dorms, Slaughter provides facilities for students who want to get together to play a friendly sports game, including a 3-court gymnasium (where students play basketball, badminton and make use of the indoor soccer arena), 7 handball/racquetball courts, 3 squash courts and a Wallyball court. Slaughter also provides group exercise rooms as well as training equipment, free weights and strength training machines. If you're looking to workout without an audience, check out Slaughter for a less-crowded exercise environment than at the larger gyms. Where is it? : Massie Road, close to the Law and Business Schools. For a chance to see T-Sully gettin her workout on, head over to North Grounds for a run on the treadmill or a game of handball or racquetball. With 10 lanes, the North Grounds pool is rarely crowded and is a great place to swim if your strokes aren't too far removed from the doggie paddle. Due to its close proximity to the Law and Business schools, this gym is usually frequented by graduate students and the occasional professor (or UVa president!). Want more info on UVa gym schedules and resources? Check out the UVa Intramural-Recreational Sports website! Don't Know Much About (UVa) History? Perhaps one of the coolest aspects of being a student at UVa is going to school in a living and breathing museum. Founded by Thomas Jefferson in 1819, our school has seen everything from rowdy students racing on the Lawn on horseback, to wounded Confederate soldiers (during the Civil War, the Lawn and surrounding buildings served as a Confederate hospital! ), to a speech by Dr. Martin Luther King Jr., to rallies against the Vietnam war. Although our school has transformed tenfold since its original construction at the beginning of the 19th century, it's fascinating to take a step back and rediscover Jefferson's vision nearly 200 years ago. 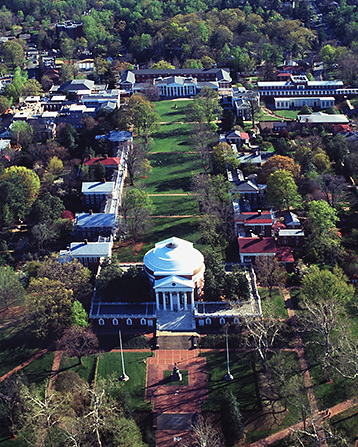 So, yes, Thomas Jefferson founded UVa, but he attended the College of William & Mary and really enjoyed his time there. However, he had a few pet peeves with his college and these concerns paved the way for the creation of UVa's Academical Village. At W&M, all of the activities for students took place in a single building: the Wren building, which still stands today. Students would eat, sleep, take classes, exercise, and socialize in this space, an environment Jefferson didn't think was very conducive to health or education. Thus, he envisioned an academic community - well, technically, an "Academical Village" (and, no, "academical" is not a real word, but Jefferson believed in it so we do too). Today faculty members still live in the pavilions, but now they inhabit both floors. The only pavilion still used for classroom space is Pavilion VIII where a professor lives upstairs and a student lounge and classrooms are located downstairs. The Lawn rooms are also available for students, but today they're reserved for fourth-year students who have given a lot back to the University. These are students who have gotten really involved at UVa, holding leadership positions in organizations on Grounds or in the Charlottesville community. It's a pretty competitive application process - only about 54 rooms and nearly 3,500 students in each class - and a big honor to live on the Lawn... although the toilets and showers are located back behind the pavilions. 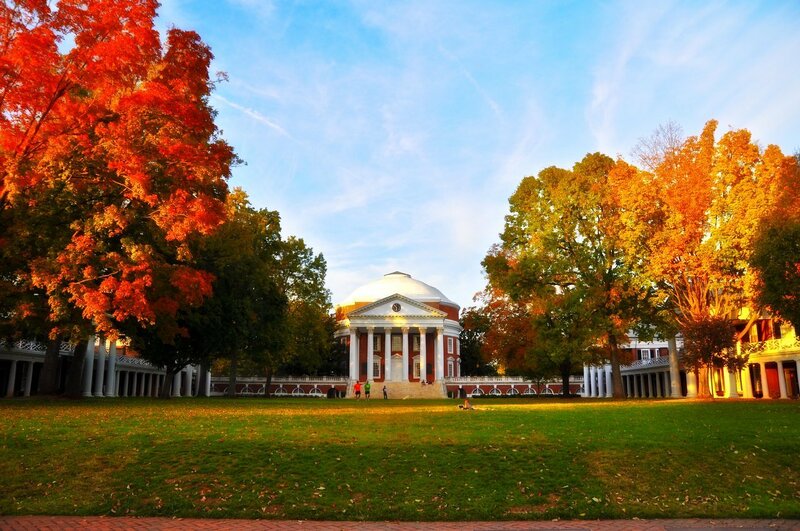 Although UVa has a very rich history (in fact, the Lawn is a UNESCO World Heritage site), this school is constantly changing and adapting to meet modern standards and needs. Today the Lawn is the site of numerous newer student traditions such as Trick-or-Treating on the Lawn on Halloween and Lighting of the Lawn before winter break. 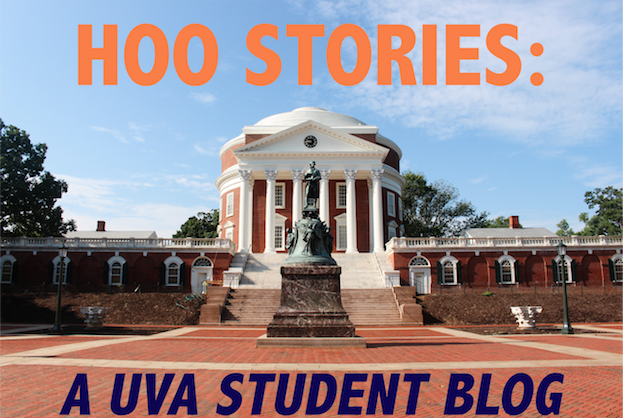 Want to know more about UVa history? 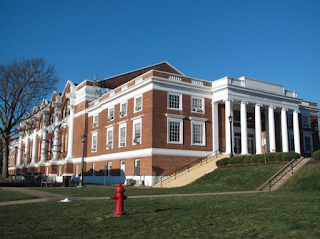 Visit www.virginia.edu for a Short History of the University of Virginia or sign up for a historic tour! 1. Grilled cheese: Get two slices of bread from the sandwich station. Cover one side of each with butter or margarine. Fill the sandwich with shredded cheddar from the salad bar, leaving the buttered sides of the bread facing out. Place your sandwich in the waffle iron for about two minutes - just long enough to brown the bread and let the cheese melt. Remove and enjoy! 2. Rootbeer float: Pretty simple. Fill a plastic drinking cup about halfway with vanilla ice-cream from the dessert station. Next, head to the soda fountain and fill the rest of the cup with root beer. Voila! 3. Brownie Sundae: Put a brownie (or two!) in a clear drinking cup. Add your choice of ice-cream, then top it off with hot fudge, crumbled cookies, and cherries if available. 4. Ice cream sandwich: Another simple one. Get two cookies from the dessert station. Top one with the ice-cream of your choice and place the second cookie on top. Of course, this tastes even better with a little whipped cream. 5. PB+J granola: Sometimes the dining halls have already prepared PB+J wraps that students open up and scrape into cups to which they add granola. However, if the wraps aren't available that day, simply scoop a spoonful or two of peanut butter and jelly from the breakfast bar and add a handful of granola. Stir and enjoy as is or add a dollop of vanilla yogurt. Mixing salad: It can be a little tricky to mix the dressing into one's salad with such shallow bowls, but place another bowl on top of the first so that the rims are touching and hold the two together as you shake your salad. This is a great way to cover the entire salad with dressing while making sure none of your cherry tomatoes end up on the ground! Claiming an omelet: Omelets are perhaps the most popular item in the dining halls at breakfast time and often students will order seconds or thirds before they realize they have only a few minutes to get to that 9:00am class. If you have a few extra minutes and notice an omelet hasn't been claimed by the student whose name has been called, ask the chef if it's up for grabs and more times than not he or she will let you have it. Cereal to go: Don't have time to sit down for long or do you just want something to snack on during your next class? Fill a to-go coffee cup with your choice of dry cereal (Lucky Charms is often the cereal of choice), put the top on, and carry it with you throughout the day.